Retired pro boxer Emanuel Augustus has confirmed his attendance this week at a USA Boxing-hosted reunion of the 2001 Fight of the Year, associated with the final stop on the 2018 USA vs. Ireland Northeast Boxing Tour festivities in Manchester, New Hampshire. The 2001 Fight of the Year was held July 13, 2001, at Hampton Beach Casino in Hampton, NH., and it is still considered one of the greatest matches ever broadcast on ESPN. “Irish” Micky Ward won an incredibly entertaining, back-and-forth junior welterweight match-up with “boxing cult” hero Emanuel Augustus, by way of a 10-round unanimous decision that was much closer than the judges’ scoring indicated (98-90, 96-91, 96-94). The high-profile win positioned Ward for what turned out to be his epic Gatti trilogy, while Augustus went on to become one of the most dangerous, upset-minded opponents in boxing. Ward, Augustus and the third man in the ring that night, Hall of Fame referee Steve Smoger, will host as USA Alumni Association event Tuesday, Mar. 20 at The Shaskeen Pub & Restaurant (909 Elm St. in Manchester), starting at 6 p.m. ET. The trio will also be joined by two others closely associated with the 2001 Fight of the Year, Chairman of the New Hampshire Boxing and Wrestling Commission, Bobby Stephen, as well as International matchmaker, Eric Bottjer, who made the Ward-Augustus fight in 2001. All five will also attend the USA Boxing Alumni Association event as well as the following night’s (Mar. 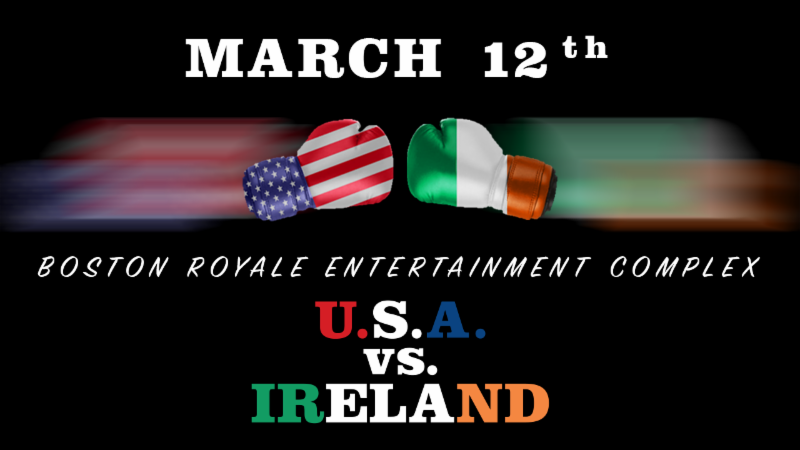 21) USA vs. Ireland Northeast Boxing Tour finale at the Manchester Downtown Hotel in Manchester, New Hampshire. A special lightweight novice WILL open the competition, showcasing two Manchester amateur boxers, Abhisek Thapa (Title Boxing Club) and Michael Correa (Manchester PAL). Presented by Corona Premium, the Manchester event will start at 7 p.m. EST, and it also serves as a fundraiser for another partner of the show, the Manchester PAL Boxing Club. Tickets are reasonably priced at $20.00 for general admission, $30 for reserved ringside seats, and available to purchase on Seacoast Ticket Agency’s website, www.seacoastticket.com, the official ticket distributor for the event. “We’re so happy to have the USA-Ireland Northeast Boxing Tour here in Manchester,” Stephen added. “The talent on both squads is extraordinary. We’re honored to have these two teams here for this big event. It’s a credit to USA Boxing and (special events director) Al Valenti, who has done so much over the years for boxing in New Hampshire. Boxing was very popular here many years ago. People turned out in droves to attend the Golden Gloves. There’s a boxing resurgence and that’s so important to teach young people discipline, respect and conditioning that’s so needed today. These amateurs do their best for the love of boxing; they aren’t in it for money like professionals.